• This is a four-day, multi-country American Football tournament. Only the championship game is shown. • The 2014 tournament was cancelled after El Salvador, Guatamala and Nicaragua had to withdraw. • The game was replaced with the Independence Cup game between Costa Rica and Panama. 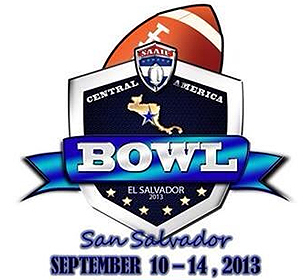 • Central American Bowl II was a tournament Feb. 4-10, 2018, concluding with the Mayam Bowl game.